tinker.fulhack.info - What do you want to tinker with today? The Icom PCR-100 is fairly easy to fit with a discriminator tap. 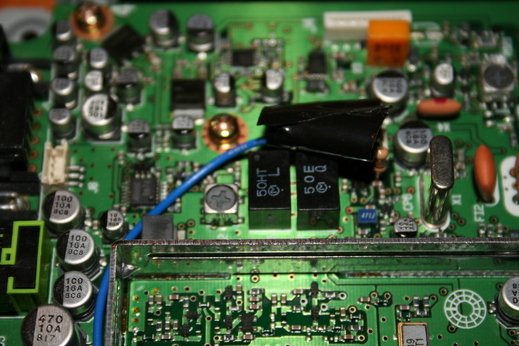 All you need is a soldering iron, a 10k ohm resistor and a 3.5mm stereo-plug. This will show you how to replace the ground wire connector with a nicer 3.5mm discriminator connector. Note that you probably will have to drill a hole where the ground screw once sat to get the connector trough the hole. 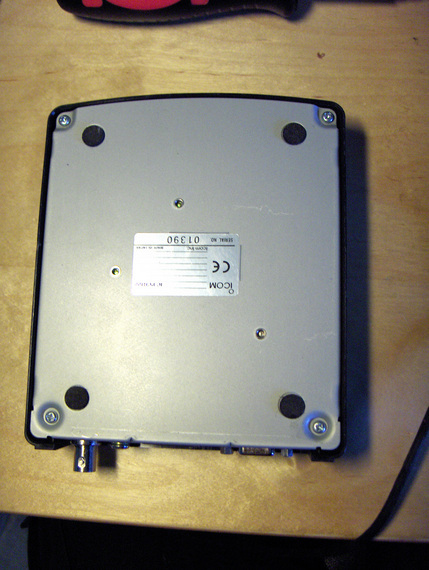 And do measure before drilling and make sure you get enough space betweeen your 3.5mm plug and the PCB. 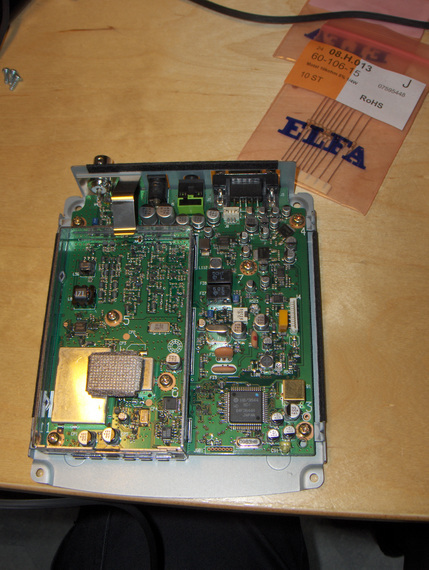 First, flip the reciever over and unscrew the four screws visible in the image above. 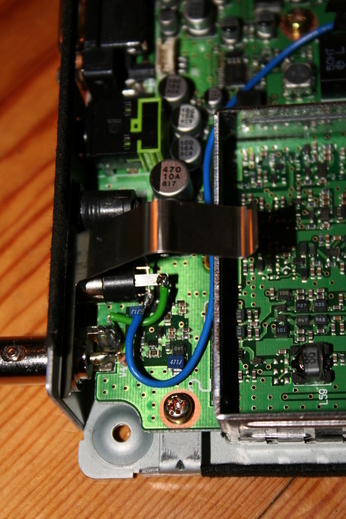 When inside, unplug the speaker wire, and remove the shield to the left. 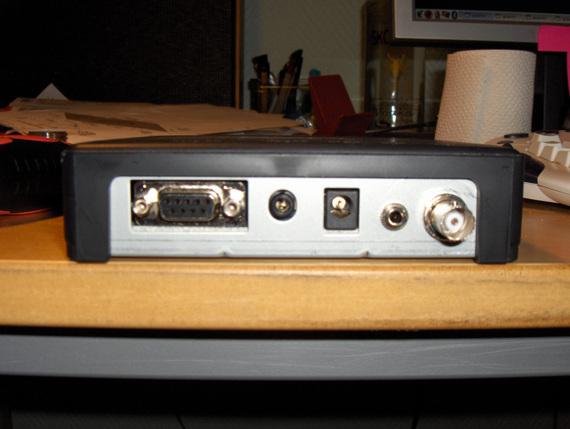 Unscrew the ring around the antenna connector. 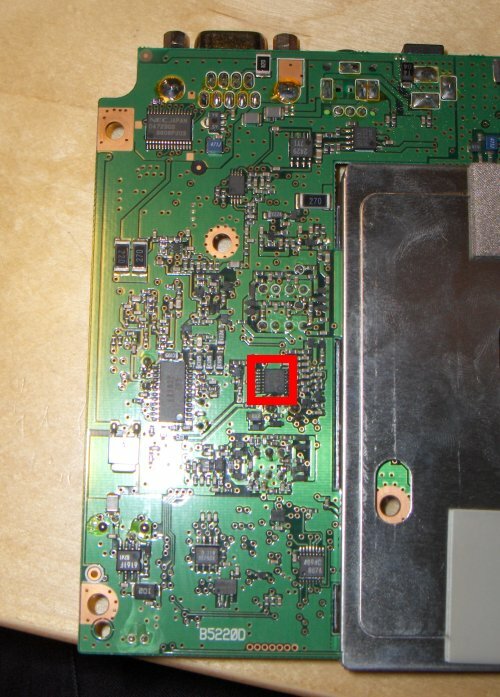 Now, remove the seven screws holding the PCB in place, and remove the PCB carefully. Now, locate the chip marked with red on the picture. The via pad marked red is the interesting one. This is where we will solder our resistor. 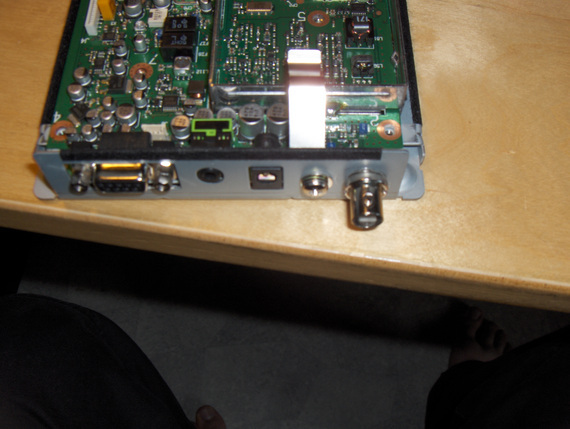 I got one of the resistors legs trough the via from the top side of the PCB and soldered it on the other side. The resistor, with some tape and wire. 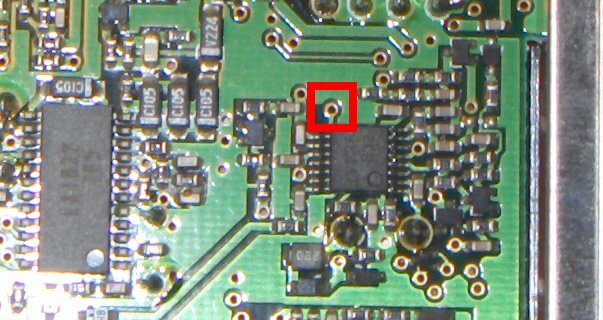 Here you can see the ground wire attached to 3.5mm connector soldered to the same spot the antenna connector ground is soldered, and our blue wire connecting the resistor to the 3.5mm connector. 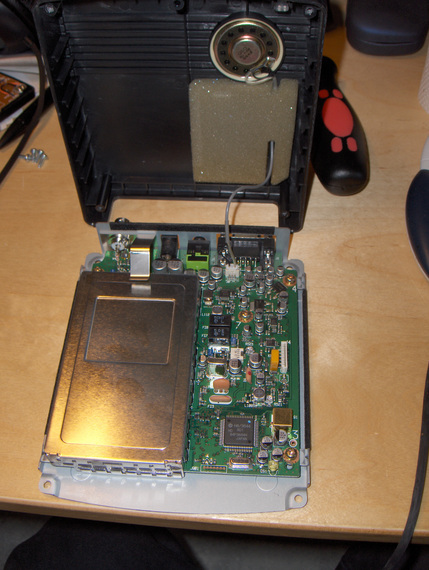 Now, just use a glue-gun to secure the wires and put everything back together again and you're finished!